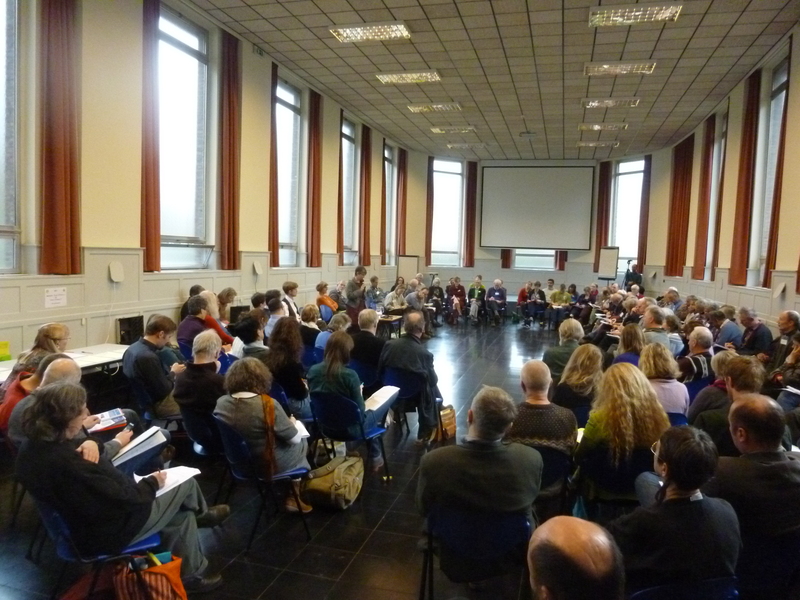 QCEA organises biennial weekend conferences together with Quaker Peace and Social Witness (QPSW) of Britain Yearly Meeting. Our conferences are intended to stimulate discussion of European issues raised by our advocacy. 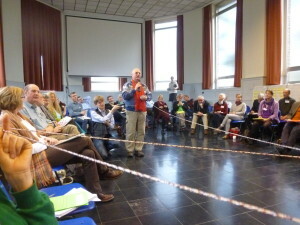 Quaker Peace and Social Witness (QPSW) and QCEA are holding a joint conference in Brussels in December. Sanctuary is a place of refuge and safety. This conference will look at how we transform Europe into a continent of sanctuary, both for all the people who currently live here, and for other people seeking protection. The conference will be an opportunity for Friends to consider the Quaker work on forced migration, but also much broader issues of what Friends can do to ensure Europe is a continent that values the human dignity of all people. The conference will consider how these issues will be affected by the UK withdrawal from the EU, and the impact that any future withdrawal from the European Convention on Human Rights might have. Europe is facing significant challenges relating to peace and human rights, including an increase in nationalism - and some fragmentation of the mechanism for dialogue and cooperation that have developed in the last 60 years. As Friends we oppose war, and call for peacebuilding efforts long before war is on the agenda. The question facing European Friends is what should we be doing to swim against the current tide. It will be an opportunity to build upon the theme of Yearly Meeting Gathering, but also to Worship with Friends from across Europe. and QPSW and QCEA staff working on forced migration and peacebuilding. You can find a provisional agenda for the conference here. This conference took place from the 4-6 December 2015 in Brussels. Click here to read a summary of the conference. Friends from all over Europe gathered in Brussels to reflect on what kind of Europe we want and how we can work together to build it. We considered how Quaker values and processes can contribute to effective advocacy and how our witness informs our advocacy and affects European policy. Find more photos from the conference here. Read an article on the conference in The Friend here (subscription required). 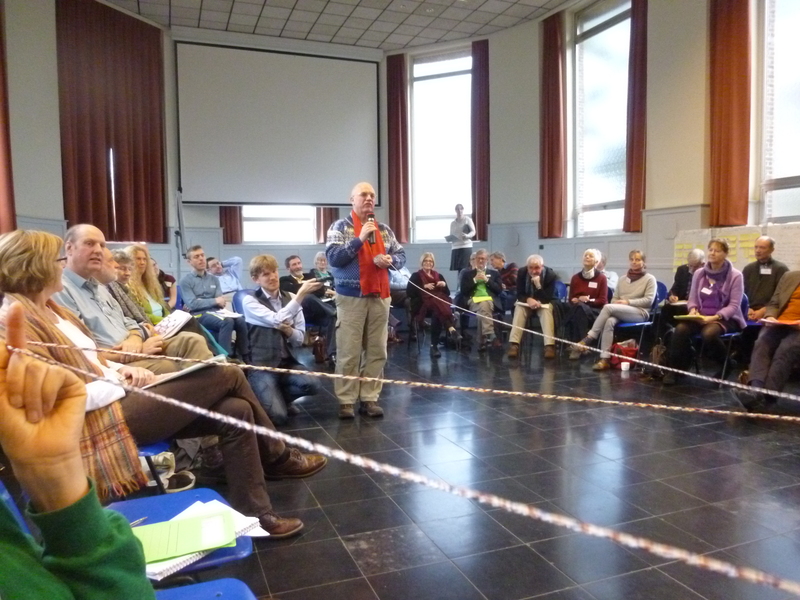 This popular conference took place on the 15th-17th November 2013 in Brussels. Trevor Evans is professor of economics at the Berlin School of Economics and a member of the coordinating committee of the European Economists for an Alternative Economic Policy in Europe (EuroMemo Group). Click here to watch the video of Trevor's talk, and click here to see Trevor's slides from his presentation (pdf). Judith Kirton-Darling is Confederal Secretary of the European Trade Union Confederation and a member of Brussels Quaker Meeting. Click here to watch the video of Judith's talk, and click here to read Judith's presentation (pdf). The December 2013 / January 2014 issue of Around Europe contains summaries of both keynote presentations. Click here to read them and here to support QCEA by subscribing to Around Europe. This conference took place on 5 March 2011 in York. Click here to access a Powerpoint presentation given by QCEA staff at the conference. 2010 Conference: Working for Peace in the Middle East: What can Quakers do? This conference took place between 29 October and 1 November 2010 in Brussels. This conference took place between 5 and 8 December 2008 in Brussels.